We are Laura and Lance, the duo behind Travel Addicts, the popular travel blog. As travel writers and photographers, we've visited more than our fair share of World Heritage Sites. First separately in the 1990s and then together, we've logged more than 200 sites on five continents. Our travels are chronicled on our award-winning blog, Travel Addicts. In 2014, we were traveling to Africa and ended up with a 12-hour layover at Heathrow. We took the opportunity to leave the airport and see the city, including Westminster Abbey and the Tower of London. We’d flown through Heathrow many times but this was a chance to explore the city. Laura was most interested in seeing the Westminster Abbey. For an Anglophile, it really doesn’t get better than this. 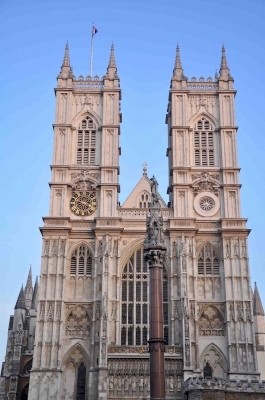 Westminster Abbey is the historic venue for royal coronations, royal weddings, and royal burials. When it comes to royalty, it’s all about Westminster Abbey. And yes, it’s a UNESCO World Heritage Site. The mountains of the Balkans contain a world treasure: Lake Ohrid. As it happens, the lake is halfway between Tirana and Skopje, which made it a perfect break on our Balkans road trip. 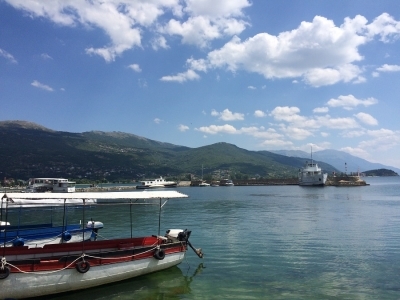 As we learned, this lake is more than the border between Albania and the Republic of Macedonia: it is one of the world’s most important lakes...and is Europe’s oldest geologically since it dates from the pre-glacial era. 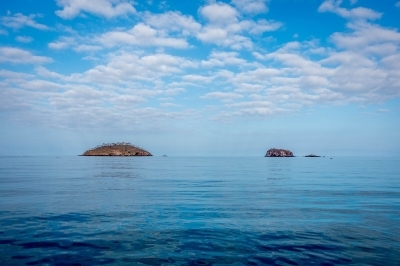 What can you say about the Galápagos Islands that hasn’t been said a thousand times before? They are beautiful. They are important and historic. And, as the world's first UNESCO World Heritage Site, they should be at the top of nearly all travelers bucket list - they were for us. We'd spent over 10 years hoping to visit and a some incredibly cheap last minute airfare deals made it possible. We spent a week on the Ecuador mainland visiting Quito and the volcanoes, but the islands were our real destination. We were incredible lucky to find a good deal on a one-week cruise of the northwest of the Galapagos (itinerary B), including Baltra, Santa Cruz, Genovesa, Santiago, Isabela and Fernandina. We visited Norway in late March and the mountains were still covered in densely packed snow. As we made our way out to the west fjords, there was a chilling wind in the air, but we were excited to discover the majestic beauty of the fjords we’d heard so much about. Whatever hype we’d heard about the fjords, they lived up to it and then some. The West Norwegian Fjords of Naeroyfjord and Geirangerfjord have received UNESCO World Heritage designation for their natural beauty. 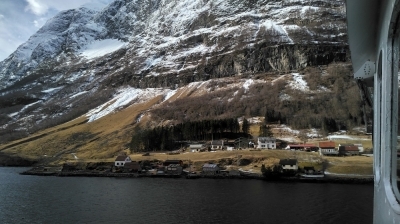 According to UNESCO, these two fjords are perfect examples of the geological processes that carved deep, glacial paths through the rock on the way to the sea. The near vertical cliffs that plunge into the icy cold Nordic waters make for incredible pictures.